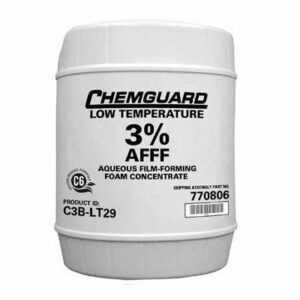 T-STORM 703LV 3% × 3% AR-AFFF is a specially formulated, free flowing, viscous, aqueous film-forming foam concentrate. It forms a vapor suppressing aqueous film on hydrocarbon type fuels or a polymeric membrane on polar solvent/water miscible type fuels. 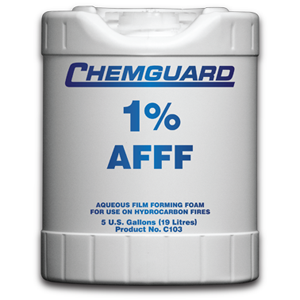 703LV 3% × 3% AR-AFFF is intended for use at a proportioning rate of 3% (3 parts AR-AFFF to 97 parts water) on hydrocarbon fuels such as gasoline, kerosene, diesel, etc., and on polar solvent fuels such as alcohols, ketones, esters, etc. 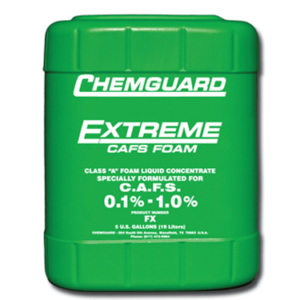 703LV 3% × 3% AR-AFFF is specifically formulated for Topside, Type II and Type III applications. T-STORM 703LV is available in pails, drums, or totes. 703LV is biodegradable, low in toxicity and can be treated in sewage treatment plants.